The impending conclusion of this year brings with it yet another blockbuster film from the dynamic duo that is Disney and Marvel Studios. On this occasion, they introduce a new hero to their well established cinematic universe, one who is perhaps not as well known to the mass consciousness as the previous heroes who have paved the way before him. Introducing Doctor Strange, the patriarch of cosmic and supernatural heroism within the pages of MARVEL comics. 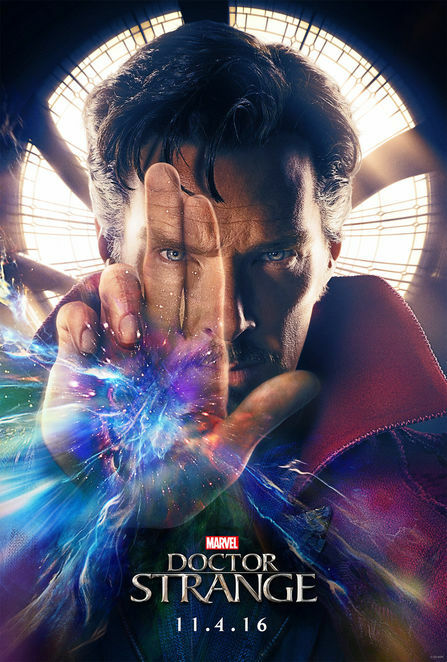 Doctor Strange explores the world of sorcery, magic, mysticism and alternate dimensions, opening the door for Marvel Studios to explore the cosmic side of Marvel comics and the eternity of galactic characters they have at their disposal. To the uninitiated it may seem like a strange choice by Marvel Studios, especially considering the global success of Captain America: Civil War earlier in the year. Civil War was undeniably the box office success story of 2016. In reality though, Marvel's introduction of the Sorcerer Supreme Doctor Strange is in fact an extremely logical decision and perhaps not as risky as some might think. His reputation precedes him as one of the most powerful heroes within the Marvel universe. In addition to this, he is the only marquee character in Marvel comics to share the same two creators as Spider-Man, arguably Marvel's most well known superhero. Those brilliant creators include the legendary writer Stan Lee and revolutionary psychedelic artist Steve Ditko. While Doctor Strange undoubtedly deserved an earlier entry to the Marvel Cinematic Universe, timing was crucial for his character's development. 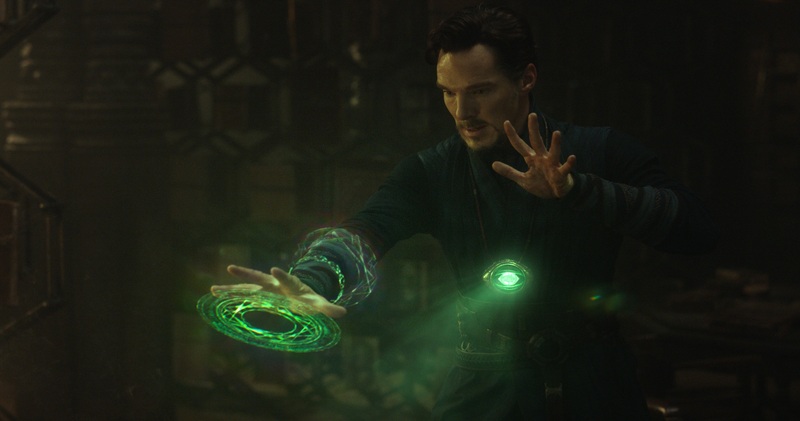 Within the comics, it was rare to call upon Strange's magical abilities unless threats upon the world were at their most immense. 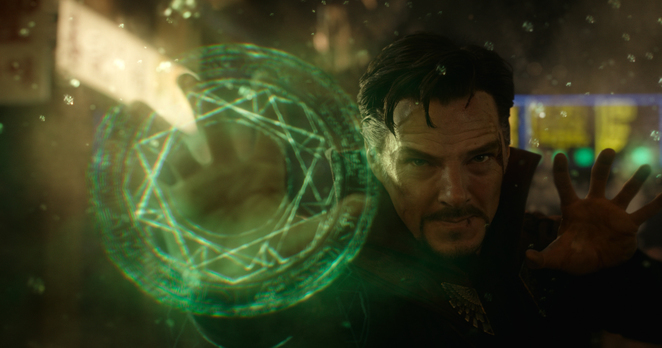 The timing of his introduction has also provided Doctor Strange with a much larger universe to play in and have influence over. In short, the way that Strange is introduced in this film is simply stellar. Doctor Strange follows the story of the arrogant and world renowned neurosurgeon Stephen Strange, a loner by nature who has alienated himself from society due to his perceived sense of brilliance. However, in a tragic turn of events, his world is literally turned inside out, following a severe car accident where he loses the use of his hands and more importantly his identity. His obsession with finding a cure drives him to search well outside the realms of medicine, as he embarks on a pilgrimage of sorts to find answers. Upon his journey through Nepal, he crosses paths with a being known as the Ancient One, who opens his mind to the infinite realms of possibility. 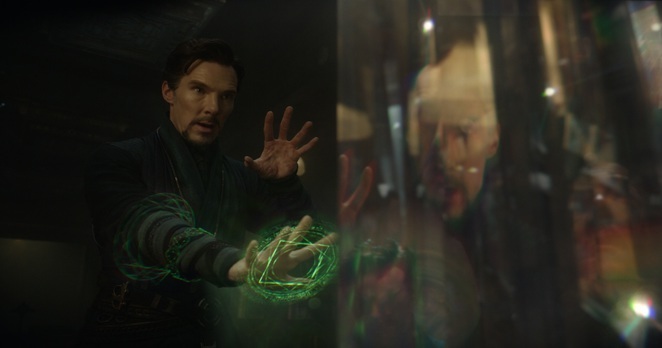 Benedict Cumberbatch puts on a spectacular performance as Stephen Strange. It is amazingly unlike any of his previous efforts on the silver screen. He emanates an air of arrogance that is quite impressive to watch. This self-assured nature is balanced with unpredictable moments of emotional anguish that will keep audiences engrossed in the plot. Cumberbatch's casting is a stroke of brilliance by Marvel. 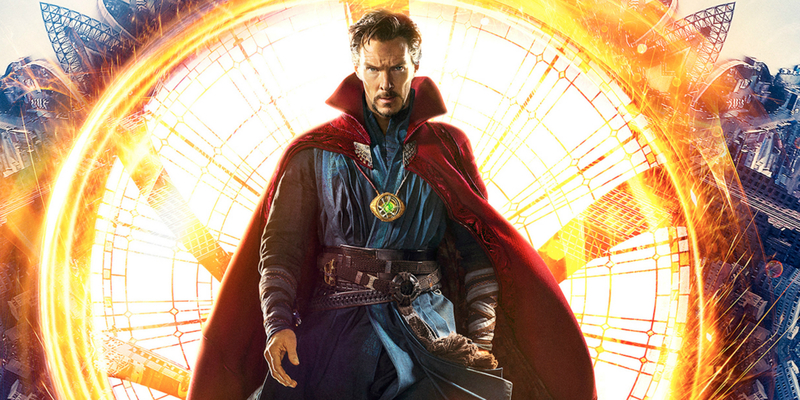 His commitment to the role is a credit to his craft, and he will make audiences believe that Doctor Strange actually exists. The seemingly androgynous Tlida Swinton is extremely well suited to the role of the Ancient One. The eerie quality of her persona is a worthy update from the comic interpretation, simultaneously providing a much needed female presence. Swinton's formidable nature also provides a powerful essence which audiences will find extremely believable. This is especially vital considering how much her spiritual advice for Strange drives certain sections of the plot. 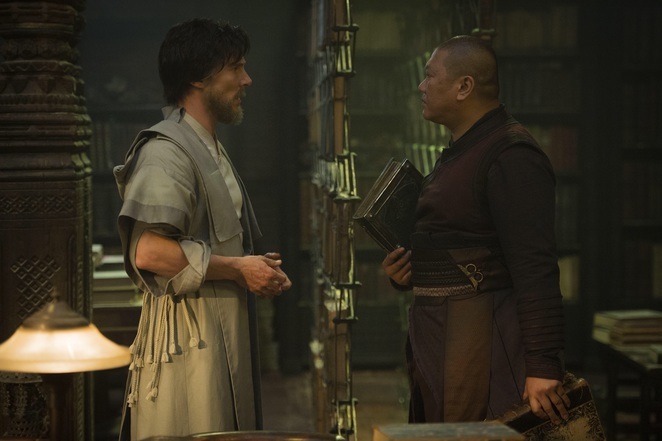 Benedict Wong is utterly brilliant as Doctor Strange's counterpart Wong. Once again it is perfect casting from Marvel. While Wong's role in the comics was a much more subservient one, the cinematic incarnation is thoroughly fleshed out. Wong, in essence, becomes a key mentor to Strange, not only symbolising a facet of Strange's conscience, but also moving the plot forward by providing essential information without painful and unnecessary exposition. Chiwetel Ejiofor's role as Mordo is an interesting one. 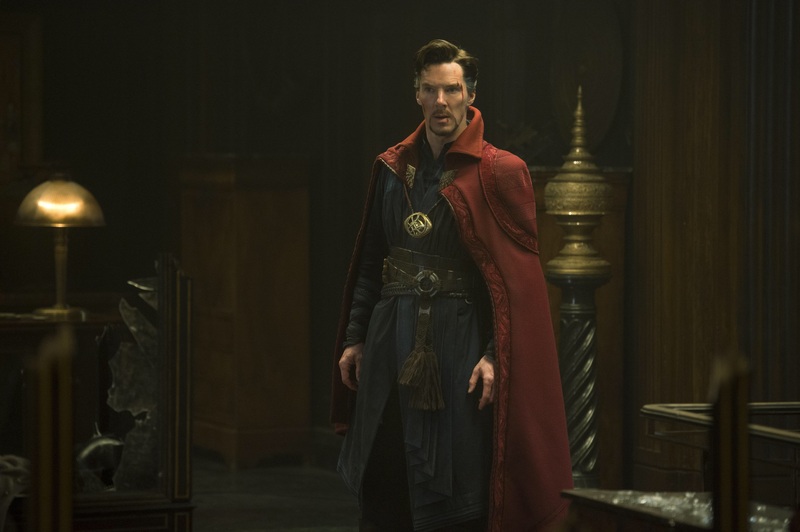 While he plays a counterpart and mentor to Doctor Strange for the most part, his motivations and character arc are in stark contrast. This provides an interesting dynamic for audiences to consume, as Strange and Mordo's moral codes clash. 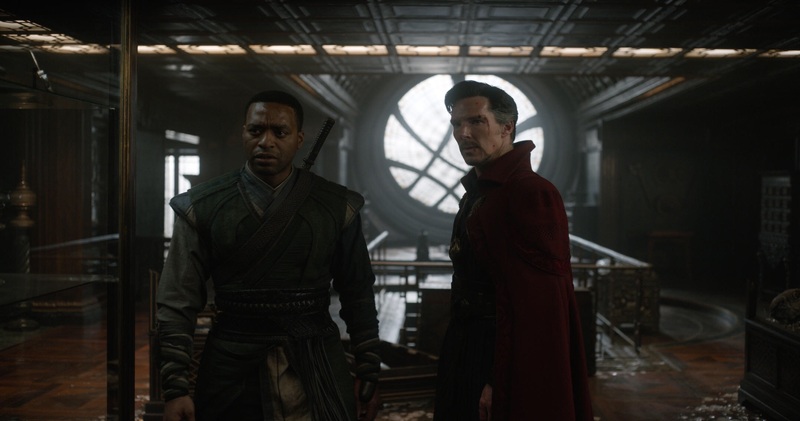 Ejiofor's presence is as formidable as always, adding much-needed gravitas to such a prominent character from Doctor Strange's comic history. 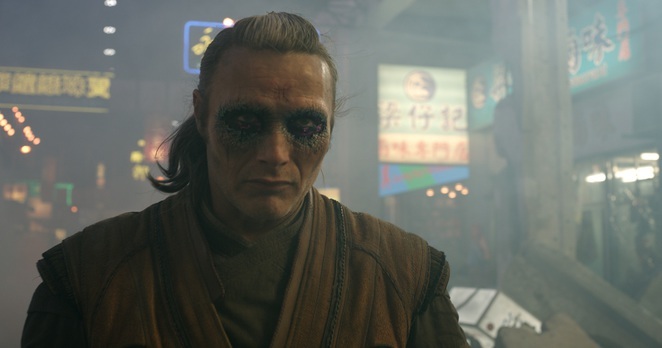 Mads Mikkelsen proves to also be a great addition to the cast, providing a very purposeful performance as Kaecilius. As a rogue student of the ancient one, he is driven by selfish motivations which are heavily influenced by his obsession with dark magic. Mikkelsen's presence is much needed in the film, however his role will leave audiences feeling that he deserved to play a much more prominent character from Doctor Strange's extravagant rogues gallery. If there is one character that keeps Doctor Strange grounded in reality throughout all the craziness that ensues, it is undeniably Christine Palmer. Played most fabulously by Rachel McAdams, Palmer in essence is Strange's moral compass, also providing the perfect avenue for Strange to express his discontent for the audience to see. McAdams and Cumberbatch's chemistry is absolutely fantastic, with McAdams being as lovable as she is brilliant. Her onscreen time, however, is unfortunately far too short. This is clearly a byproduct of having to fit so much story content within the 115 minute run time. While her presence is most welcome in the film, audiences will be left wishing that she was cast as a far more prominent Marvel character, especially considering her talent and likability. While the cast of Doctor Strange is probably the best Marvel has ever constructed for a stand alone film, the undeniable stars of the movie are the visual effects department. The film is without doubt one of the most visually stimulating movies ever made. 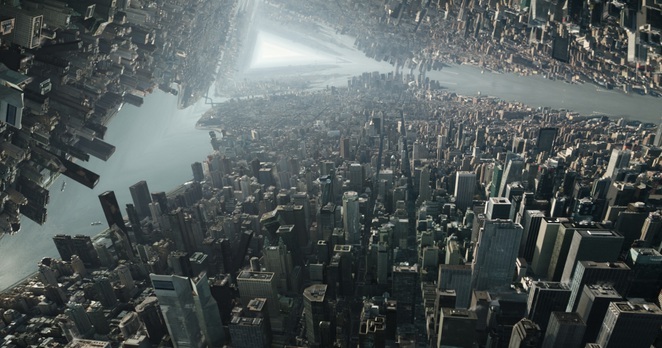 The amazingly surreal visual sequences will at times have audiences queasy with delight and perhaps even motion sick. This is especially so when experiencing the film in 3D. It really is a film that may be worth seeing again in IMAX, not only for the entertainment value of the story, but also to take in the wild ride while encompassing one's entire visual spectrum. 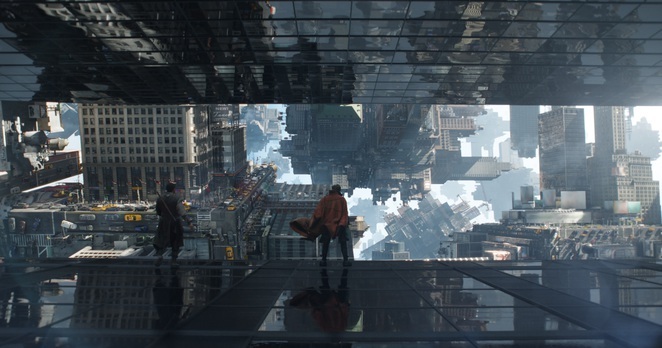 The magical sequences within Doctor Strange also take a completely fresh approach, capturing imagery that has only been previously confined to the comics. 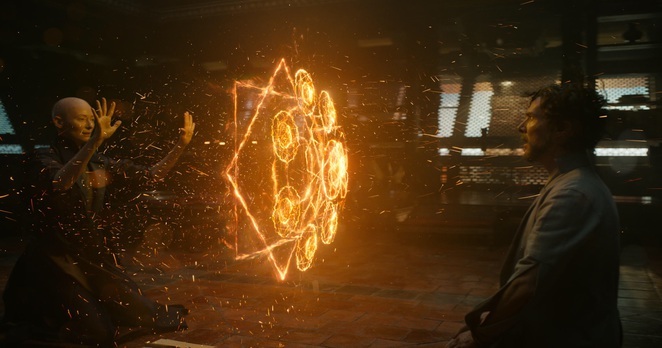 The magical relics that made Doctor Strange famous are also incorporated extremely well. 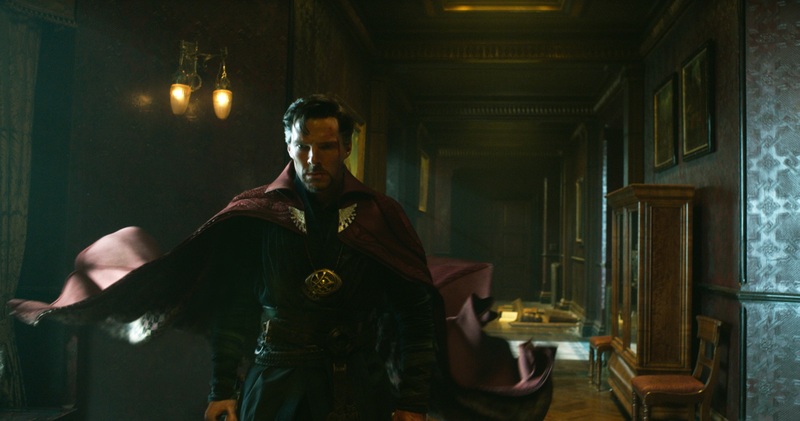 This is especially evident with how the Cloak of Levitation and the Eye of Agamotto are used in the narrative. In short, the sorcery on display in this film is a most impressive accomplishment. 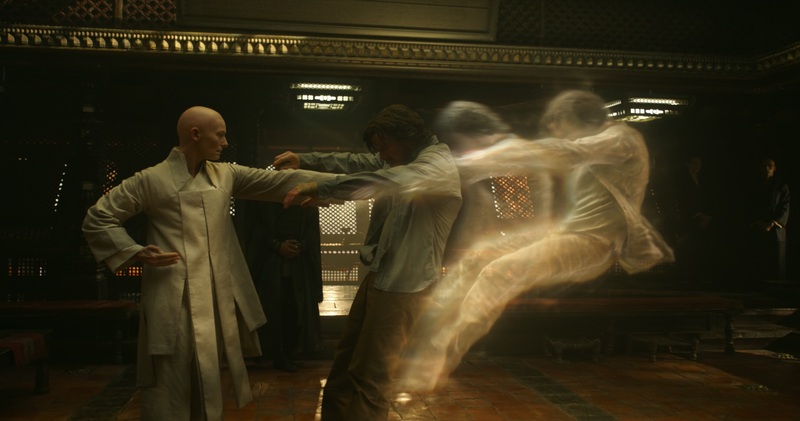 The magical effects also incorporate an element of martial arts, with the intention of facilitating a smooth cinematic interpretation. However, if there is a criticism to be made, it's that the use of magic and spells are sacrificed for a perceived need to display some form of physical combat. A better approach would be to focus entirely on the spellcraft which is profoundly more fascinating for audiences to consume. Fans of the fantastic artwork of Steve Ditko and his predecessors will also be extremely pleased with the movie interpretation. The visual sequences really do pay homage to the psychedelic comic artwork of the 60's and 70's, with all credit going to the Marvel Studios production team for honouring the source material in such a fabulous way. This is not only evidenced with the alternate reality sequences, but also with the extremely comic accurate magical residence of Doctor Strange, the Sanctum Sanctorum. Director Scott Derrikson deserves a lot of credit. There is an immense amount of narrative material to get through in this film, and he conveys it in brilliant fashion. This is all while maintaining his own stylistic approach made famous through his work with the horror genre. However, he also manages to incorporate the Marvel way of doing things, a system that has worked so well for so long. The film is compelling, entertaining, humorous and at points will provide a few scares that will make audiences jump. Viewers are guaranteed to leave the cinema wanting more. 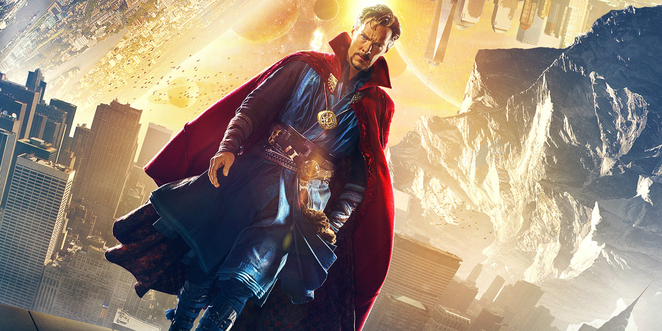 In summary, Doctor Strange is a must see at your local cinema and perhaps even at IMAX. The visual effects are absolutely stunning, incorporating a series of plot devices that are as clever as they are entertaining. The narrative drive is also absolutely fantastic, especially considering the film dedicates a significant amount of time explaining Doctor Strange's origin. 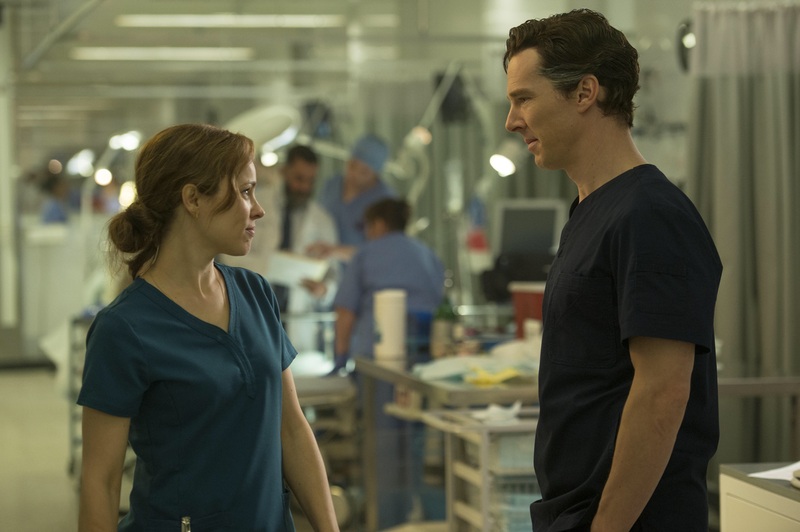 The film is also engrossing and emotionally compelling, thanks to the remarkable performance of Benedict Cumberbatch. In short, it's probably one of the most entertaining movies you will see this year. In Marvel tradition, the two post credit scenes are definitely worth the wait, with one indicating a high probability of seeing Doctor Strange again sooner rather than later in Marvel's Thor Ragnarok. Why? One of the most revolutionary and visually compelling films ever made. When: In cinemas everywhere from October 27th. Cost: Price of a movie ticket at your local cinema.